Geared toward providing service and resources to attorneys who provide legal services directly to Tribes and Tribal Governments, the Tribal In-house Counsel Association (TICA) connects members and provides both a forum and community for Tribal Government legal issues. TICA was formed in 2012 out of the growing Tribal in-house type of practice structure. More and more Tribes find either through governmental need or for cost-effective solutions that they need an internal legal structure in addition to any law firm issue-specific representation. While there are several legal associations geared for Tribal practitioners in general, TICA focuses on issues and practices specific and unique to lawyers employed directly by a Tribal Government, Tribal Enterprise, or other similar entity. THANK YOU TO OUR 2018 TICA - ILPC CONFERENCE SPONSORS! Support TICA by becoming a member today! 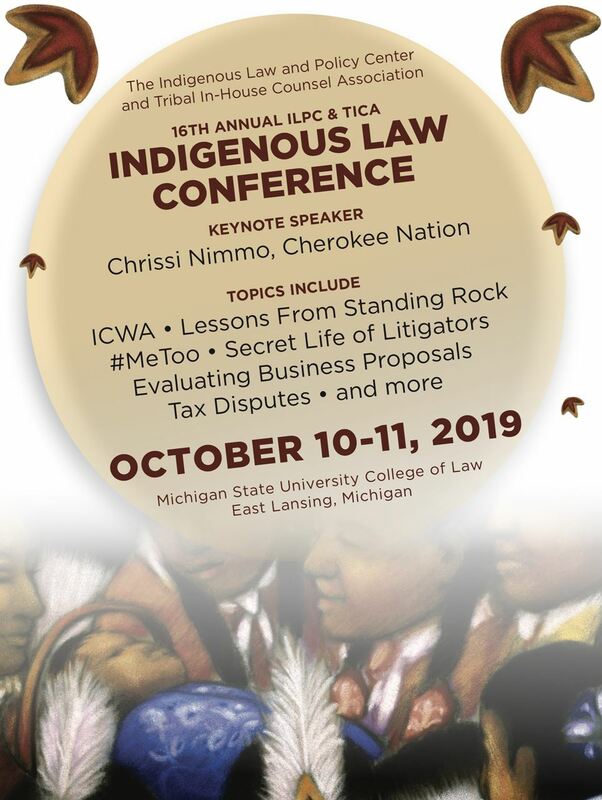 The Tribal In-house Counsel Association (TICA) is proud to announce the Inaugural Pre-Law Summer Institute (PLSI) G. William Rice Book Award for the Top Student in Advocacy. TICA created and funded this award in 2017 in honor of G. William Rice, former PLSI Professor and tribal advocate. The award was presented at the PLSI 2018 banquet in Albuquerque, New Mexico to Lorenzo Gudino (Fort Sill Apache) who is now a first year law student at the University of Wisconsin. Bill’s children Karen & Harrison Rice, also PLSI alumni, along with Harrison’s husband David, attended the banquet to help present the inaugural award. 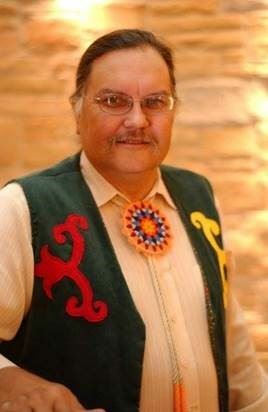 Professor Rice (United Keetoowah Band of Cherokee Indians) taught Federal Indian Law at PLSI in 1998, 2001, 2012, and 2014. He served as Attorney General for the Sac and Fox Nation, and as a tribal judge for the Citizen Potawatomi Nation, the United Keetoowah Band of Cherokee Indians, and the Kickapoo Nation of Indians in Kansas. 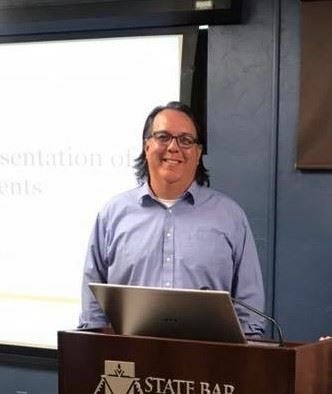 He was a co-director of University of Tulsa’s Native American Law Center and the founding director of the University of Tulsa’s LLM degree in American Indian and Indigenous Law and the Master of Jurisprudence in Indian Law. He wrote extensively in the field of Indian law. He focused much of his efforts on the revitalization of Indigenous Peoples’ political and legal systems, and took every opportunity to encourage and mentor native law students. Professor Rice’s scholarship and work advocated for tribal sovereignty. In honor of his 9-0 victory in Oklahoma Tax Commission v. Sac and Fox Nation, 508 U.S. 114 (1993) before the Supreme Court of the United States, the Sac and Fox Nation has named May 17th “Victory Day.” Professor Rice passed away on February 14, 2016.rsity of Tulsa’s Native American Law Center and the founding director of the University of Tulsa’s LLM degree in American Indian and Indigenous Law and the Master of Jurisprudence in Indian Law. He wrote extensively in the field of Indian law. He focused much of his efforts on the revitalization of Indigenous Peoples’ political and legal systems, and took every opportunity to encourage and mentor native law students. The PLSI program started in 1967 with the mission of increasing the number of American Indian and Alaska Native law students and the number of Native American lawyers. Since then, over 1,200 Native Americans have gone through PLSI, many of whom have gone to law school with a law school graduation success rate of approximately 90%. The PLSI began as a component of the Special Scholarship Program in Law for American Indians and Alaska Natives, which most people simply called “the Summer Program.” It has since increased its capacity to assist Native American students with the law school careers in multiple ways including sponsoring student participation in the ABA Judicial Clerkship Program which was implemented to increase the number of minority judicial law clerks, and assistance with textbooks and bar exam preparation courses. PLSI students have gone on to work in all levels of tribal, state, and federal governments as well as in private practice and industry. PLSI and TICA share the common goal of promoting and supporting law students, many of whom will go on to work for Tribes and throughout Indian Country. PLSI alumni and TICA membership have a significant overlap, and several PLSI alumni have assumed leadership positions within the organization. For these reasons and more, TICA is proud to support PLSI as well as honor the legacy of Bill Rice. “We were thrilled to work with TICA to establish this award. TICA has accomplished so much in such a short period of time and we are honored that the organization has chosen to support PLSI and honor one of our most cherished professors,” said Rodina Cave Parnall, PLSI Director. This year, the Hogen Adams law firm also contributed funding to support the book scholarship award. Other individuals or organizations that want to support the award are encouraged to contact TICA or PLSI. TICA is a non-profit 501(c)(6) organization created to provide resources and networking opportunities to assist tribal in-house practitioners.